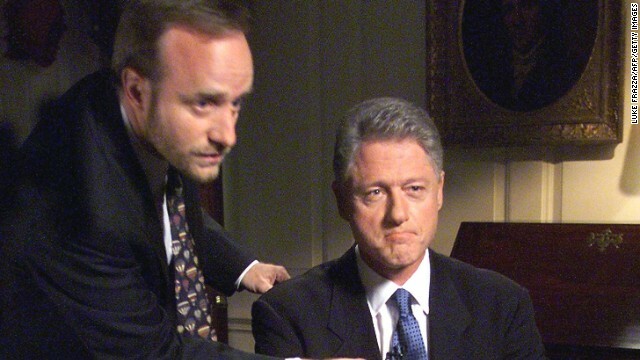 (CNN) - Paul Begala, a former senior adviser to President Bill Clinton and now a CNN contributor, wrote a draft of Clinton’s farewell speech, but said in a memo to the President that he didn’t include any mention of his wife, Hillary Clinton, and suggested Clinton himself should write that portion of the speech. "The only thing I did not take a crack at is a nod to Senator-Elect Clinton. That has to come from your pen,” he wrote in the memo dated January 2, 2000. The memo was found in a batch of confidential memos, notes and other papers from the Clinton White House that was released by the William J. Clinton Presidential Library on Friday. He advised Clinton not to list all his accomplishments but rather focus on “American character.” Begala also took a shot at then-incoming President George W. Bush and the controversial 2000 election. While the farewell address had traditionally been delivered from the Oval Office, Begala suggested that Clinton is at his best when he’s among people and said Clinton should fill the State Dining Room with people the media has never heard of but had been inspired or helped by Clinton. “They can’t be raucous and must be cautioned that this cannot appear to be a pep rally, but the live audience will elicit your best performance,” he wrote. Did Clinton take his advice? On January 18, 2001, the president delivered his farewell address from the Oval Office, with no one else in the shot. And what did he say about the first lady? “Hillary, Chelsea, and I join all Americans in wishing our very best to the next President, George W. Bush,” he said. CNN's Ashley Killough and Sean Kennedy contributed to this report. -does it really matter? He is not in the picture, it is Hillary. Yes, on Hillary16. Yea it should say the worse i ever got was alright and your hair is beautiful yes you on right there on the front row? her best advisor as she stomps the GOP candidate in the 2016 election. When your only accomplishment for, oh say the last fourteen years is two wars, a destroyed economy, and shutting the government down at a cost of 24 billion, you have to do as W said once and "catapult the propaganda." Is this the Guy who liked female feet and high heels ? I get them confused . --it was a grave mistake of Al Gore not to use Pres. Clinton during his run. He was scared of bogus scandal–nevertheless be it true, it is Quite normal at that level in other nations–not new. Hillary16. PS: do you thing I give hoot at those scandals–no. Bill Clinton said farewell. When that? He still want back in White House. Think you need Nanny. Looks like jobs pick up a bit anyway. Pretty soon you no need Nanny. Or Hillary.